Geoffrey Chaucer, The Canterbury Tales, Prologue, The Yeoman, lines 104-7. 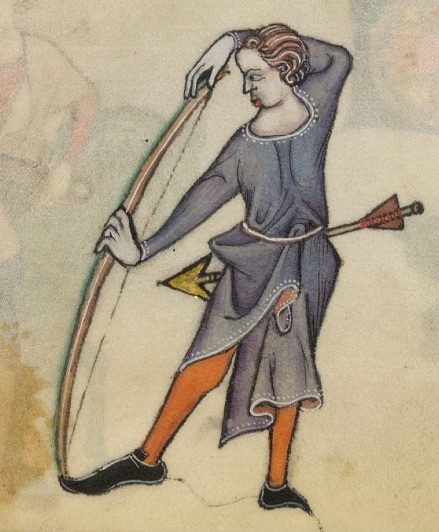 That’s an excellent illustration, the feathers are the correct colour for peacock fletched arrows and the red binding thread can be clearly seen. Yes, it’s a good one. I liked your bit about real peacock fletched arrows a while back. I want to get some peacock now.